Kevin Smith Transportation Group is a Luxury Transportation company that services the entire Greater Philadelphia, PA area. KSTG delivers services daily in Bucks, Chester, Delaware, Montgomery and Philadelphia counties. This includes more than 300 cities, towns, boroughs and Morelands across the area. One of the places a KSTG vehicle will regularly service is Montgomery Township, PA.
Kevin Smith Transportation Group delivers both Leisure and Corporate Transportation services in Montgomery Township, PA. KSTG’s Leisure division will often be seen sending out a Wedding Limo or Wedding Shuttle on most weekends. Service requests for a Limo or Party Bus for a Night on the Town or a trip to Philadelphia, PA for a concert or show is very common and popular for those who live in Montgomery Township, PA. The exciting requests for a Party Bus to the Manhattan Cruise Terminal or a night out at the casinos makes for a great night. If you are fortunate enough to work for one of the amazing companies in Montgomery Township, PA, then you may require the services of Kevin Smith Transportation Group and our Corporate Transportation division. Airport Transportation is a common service request with Philadelphia International Airport (PHL) located so close to Montgomery Township, PA. However, with nearly a dozen International Airports in the Mid-Atlantic area, many companies will utilize KSTG’s services for Airport Transportation to Newark International (EWR), Kennedy Airport (JFK) or other points north or south of the Philadelphia, PA area. Other Corporate Transportation services that Kevin Smith Transportation Group offers companies in Montgomery Township, PA include Shuttle Services. This may be needed for moving employees to local SEPTA stations for both their morning commute and returning home in the evening. KSTH Sprinters and Mini Buses are popular vehicles for this service. Some companies, with offices or clients around the country, often have employees traveling through local FBO’s. When Private Aviation is utilized, KSTG Cadillac XTS’s and Black Yukon’s are often seen transferring employees from their offices in Montgomery Township, PA to those local FBO’s including Northeast Philadelphia Airport, Doylestown Airport and Wings Field. Many companies in Montgomery Township, PA have been pushed by their Senior Management or Counsel’s office to follow strict Duty of Care requirements with their employees. This means that the days of using an unregulated Black Car Service for Corporate Transportation services is no longer allowed. For Kevin Smith Transportation Group, this means that our Black Car Service division, including our fleet of Cadillac XTS’s, Black Yukons and Black Infiniti’s, are regular visitors to Montgomery Township, PA.
Montgomery Township, PA is a township in Montgomery County, PA. It is the location of the Montgomery Mall, a regional shopping mall serving the Route 309 corridor of the Philadelphia suburbs. Much of Montgomery Township’s development is suburban in character, with newer tract houses and strip shopping centers. 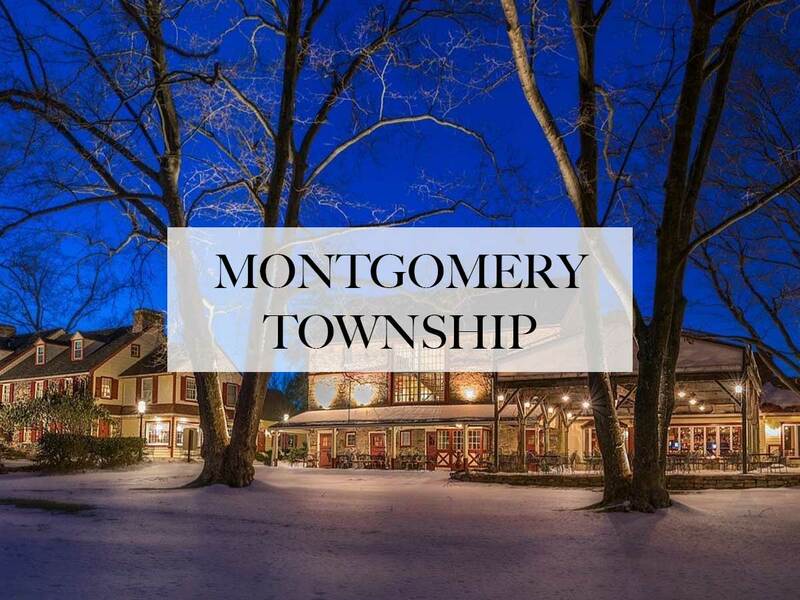 Homes in Montgomery Township, PA have North Wales and Lansdale (even though the township is distinct from those boroughs) addresses, but businesses that are located within the township boundaries are given the Montgomeryville ZIP code. The township is in the North Penn School District and is part of the North Penn Valley region that is centered around the borough of Lansdale. Montgomery Township, PA is the largest municipality in the North Penn area, the ninth largest municipality in Montgomery County, and the 59th largest municipality in Pennsylvania. Montgomery Township has its downtown along PA 309 in Montgomery Square. The township is largely developed with many suburban developments. It has an area of 10.7 square miles and a population of 24,790. Montgomery Township, PA was incorporated in 1714. Alexander Edwards was certainly one of the first settlers, and probably the very earliest in Montgomery. Originally from Wales, he died in 1712 and described himself in his will as “of Montgomery”, showing that the township had been created before that time or that he was originally from Montgomery, Montgomeryshire. When old Philadelphia County was partitioned on September 10, 1784, Montgomery Township was included in Montgomery County. There were many Welsh within Montgomery and its surrounding townships, descendants of those who left Wales in the aftermath of the English Civil War, which led generations later to speculate that the new county was named for Montgomeryshire, Wales. But the county is more likely named for Richard Montgomery, the beloved Revolutionary War major general, although original documentation is misplaced or missing. It is the birthplace of Civil War general Winfield Scott Hancock (1824–1886). The Knapp Farm was listed on the National Register of Historic Places in 1976. The entire team at Kevin Smith Transportation Group is proud of our partnership with every company, venue and person from Montgomery Township, PA who chooses KSTG as their #1 Transportation Company. We believe our priorities around luxury helps us deliver our services for everything from a once in a lifetime Wedding celebration to supporting our Corporate clients who require use of our Shuttles and Sprinters for a company event. With Montgomery Township, PA and KSTG working together, we are confident KSTG vehicles will continue to support the entire area for years to come.